Meet the conventions, conferences, and sporting events which have made Rochester, N.Y. their destination this April. Brothers and Sisters In Christ (BASIC) is a network of college students and churches in the Northeast that meet to enjoy life together, learn about God, and make a difference in the world. Students on over 30 campuses gather every week to worship God and inspire each other to live out their faith in Christ at school. Every semester, all of the students from dozens of universities gather together in Rochester, NY for 3 days of passionate worship, powerful teaching, and life-changing ministry. The Museum Association of New York inspires, connects, and strengthens New York’s cultural community statewide by advocating, educating, collaborating, and supporting professional standards and organizational development. The NYWAY Spring National Duals/G2 King of the Mat event returns to Rochester for its second year. The event will take place on the campus of the College at Brockport in their SERC Center. Athletes from elementary age up through high school will be competing. The NYWAY organization is a grassroots organization focused on growing the sport of wrestling across New York State by increasing the participation in the sports so that more student athletes graduate Wrestlers. The League for Innovation in the Community College (League) is an international nonprofit organization with a mission to cultivate innovation in the community college environment. CEOs from 19 of the most influential, resourceful, and dynamic community colleges and districts in the world comprise the League’s board of directors and provide strategic direction for its ongoing activities. These community colleges and their leaders are joined by almost 500 institutions that hold membership in the League Alliance. For more than 55 years, the New York State Speech-Language-Hearing Association (NYSSLHA) has represented the professions of speech-language pathology and audiology and individuals served by members of these professions. A three-day conference exploring the practice, profession, scholarship, preservation and access to photography’s history, present day expression and projected opportunities and challenges for the future. Bivona Child Advocacy Center delivers excellence in child abuse response, healing and prevention through collaborative service, awareness, education and leadership. The Bivona Child Abuse Summit is nationally recognized as the premier conference in the Northeast region. This cutting-edge multidisciplinary training is for social workers, law enforcement, prosecutors, mental health and medical professionals, school personnel, day care providers, the faith-based community and more. Workshops are being presented by national and international experts. A support group for mothers of multiples made up of local clubs across New York State. 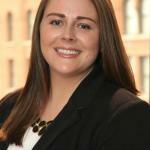 Amanda Pfeil is the Director of Event Services at Visit Rochester.